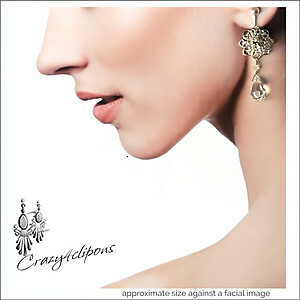 Features: Elegant Crystal earrings, dressy and elegant. Great for dinner and beautiful for brides. Sterling Silver "Flores" flower-like findings are complimented with a gorgeous Czech faceted crystal teardrop and a Swarovski bicone. All hand wrapped in sterling silver earrings. 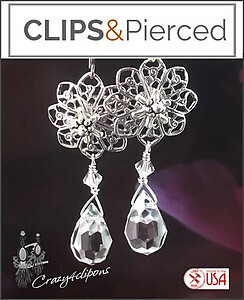 Specs: Sterling silver flower findings, Czech crystal teardrops, Swarovski clear bicones, sterling silver wire.